In need of a replacement under-the-seat muffler? 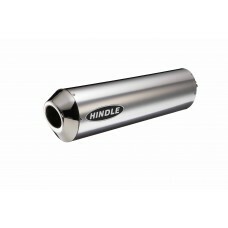 Hindle Exhaust Systems' Euro Oval underseat Muffler in Stainless finish has a classic oval shape with a satin finish. In need of a replacement muffler? 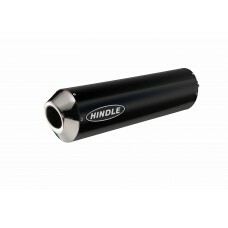 Hindle Exhaust Systems' Euro Oval underseat Muffler in Black Ceramic finish has a classic oval shape with a beautiful semi-gloss finish. In need of a replacement muffler? Hindle Exhaust Systems' Euro Oval underseat Muffler in Titanium finish has a classic oval shape with a satin finish. A lightweight option with a finish that suits all makes and models. In need of a replacement muffler? Hindle Exhaust Systems' underseat Muffler in Carbon Fiber finish has a classic oval shape with a true carbon fiber finish. It is one of our most lightweight muffler choices available.